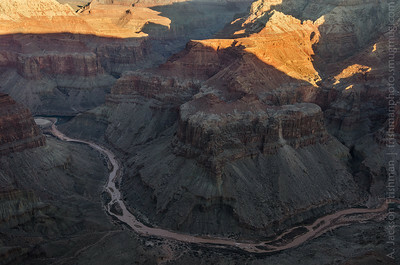 Confluence of the Main and Little Colorado rivers at sunrise, Grand Canyon, February 2012. 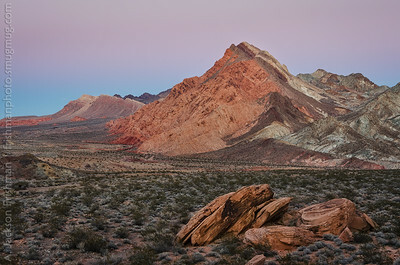 Evening twilight over Sentinel Peak and the Pinto Valley Wilderness, Lake Mead NRA, Nevada, January 2015. 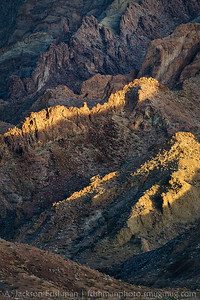 Volcanic cliffs in Cleopatra Wash, Jimbilnan Wilderness, Nevada, January 2015. 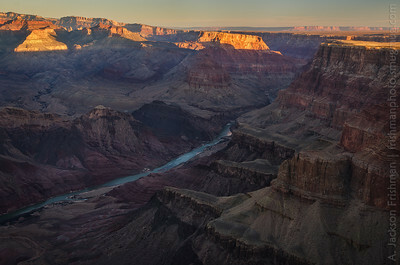 Sunrise on Vishnu Temple and the North Rim from Comanche Point, Grand Canyon, Arizona, February 2013. 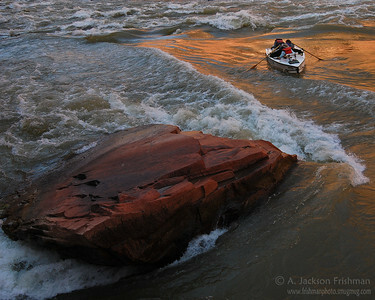 River pioneer Norm Nevills' grandson rows historic boat Sandra into House Rock Rapid, Grand Canyon, July 2008. 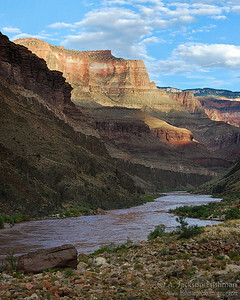 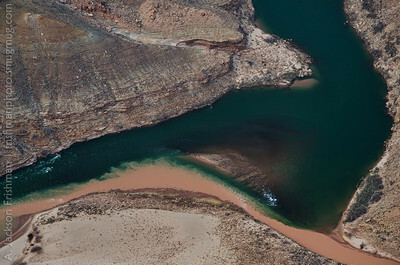 Confluence of the Main and Little Colorado rivers viewed from Cape Solitude, Grand Canyon, February 2012. 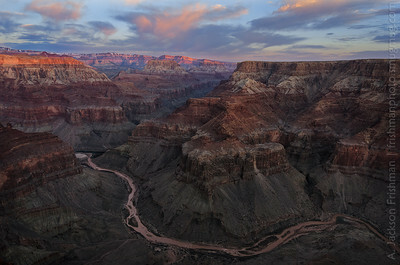 Sunrise above river camp, Grand Canyon, Arizona. 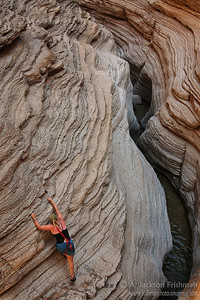 Climbing in Matkatamiba Canyon, Grand Canyon, Arizona, July 2008. 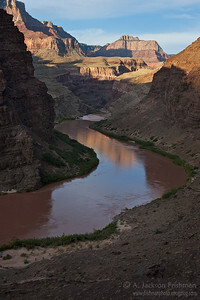 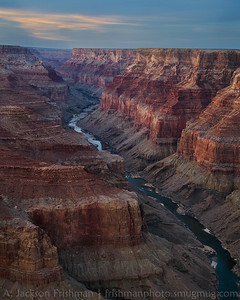 The Little Colorado meets the main river at sunrise, Grand Canyon, February 2012. 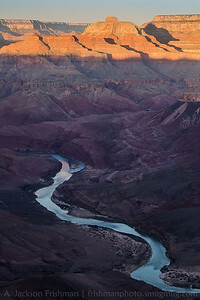 Sunset clouds above the Colorado River, looking north from Cape Solitude, Grand Canyon, February 2012. 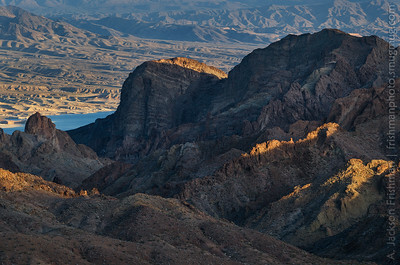 Volcanic ridges of the Jimbilnan Wilderness, overlooking Lake Mead, Nevada, January 2015. 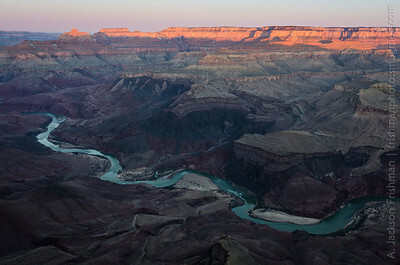 Sunrise on Vishnu Temple and the Colorado River from Comanche Point, Grand Canyon, Arizona, February 2013. 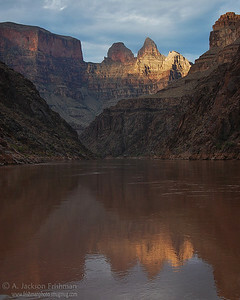 Sunrise view upstream from Comanche Point to Palisades of the Desert, Chuar Butte and Cape Solitude, Grand Canyon, Arizona, February 2013. 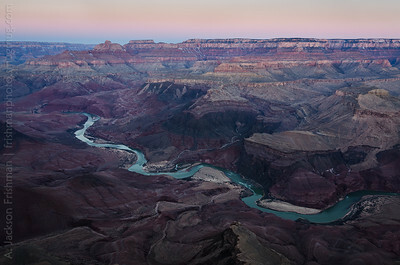 Dawn over the Colorado River, Vishnu Temple and the North Rim from Comanche Point, Grand Canyon, Arizona, February 2013. 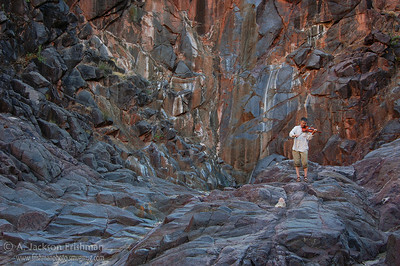 Music and Vishnu schist in the bottom of the Grand Canyon. 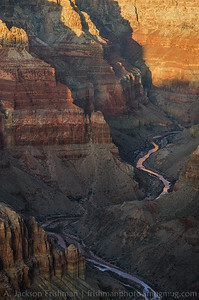 Evening light in the Little Colorado Gorge, Grand Canyon National Park, February 2012.